PowerPoint presentations are used to present data in a visually appealing way so the audience is kept interested and presented information is better understood. For that reason, presentations usually contain a lot of images supported with text and charts. 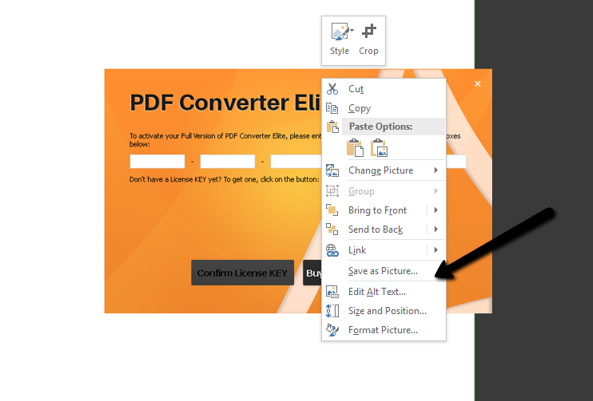 If you need to include the whole presentation or just certain slides in another document or you want to print a particular slide, check out how to save a PowerPoint slide as a picture. The first step is to go to File menu, then Save as option. Then choose the location you prefer. 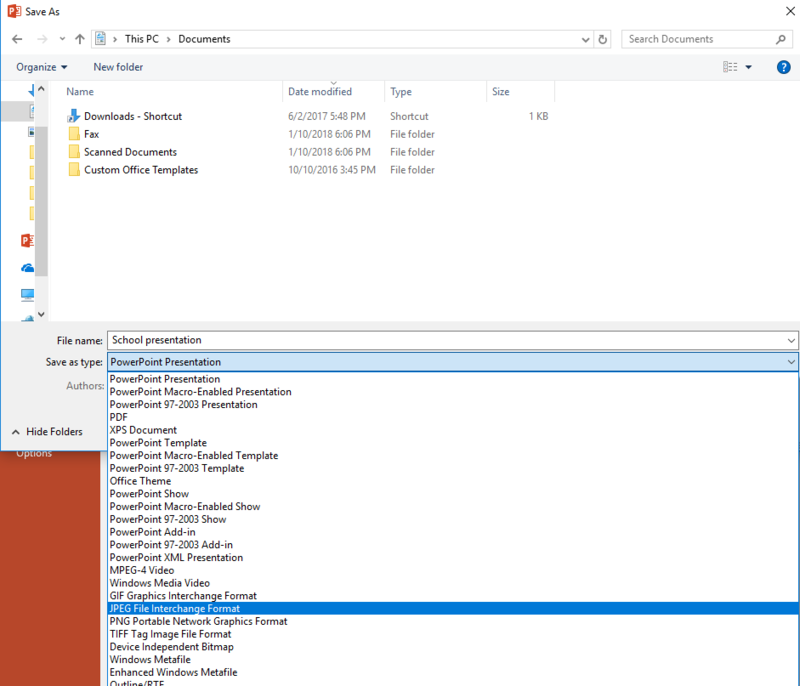 In the File name field, revise the document name. Depending on the image file type you need, you can save a PowerPoint presentation as JPEG, PNG, GIF, Tiff and many other. As you can see on the image above, in the Save as type field, choose the image file type. A small window will pop up asking you to choose the slides you want to export. You can export all slides or just a specific one. In order to save only one PowerPoint slide as a picture, you need to open that slide before you go to Save as option. If you choose the save all slides as JPEG, every slide will be one separate image. If you don’t need the whole slide but only the picture in the slide, you can click on the picture on the right mouse side, and then on Save as Picture. All these steps are pretty much the same in every version of Microsoft Office. Only File menu in older versions is replaced with the Office button. Another trick how to save a PowerPoint slide as a picture is to view a PowerPoint presentation on a mobile phone, and snap a photo of the slide. Depending on the phone and your presentation viewer, the slide should be seen properly.